Charlie Brown and the Peanut Gang was one of my favorite shows to watch when I was a little girl. I always looked forward to each of their holiday specials every year and still do til this day. My husband and I along with our kids watch each holiday special when they come on TV every single year. So you could say when you mentioned Charlie Brown, Lucy or Snoopy in my house, my kids know exactly who you're talking about. 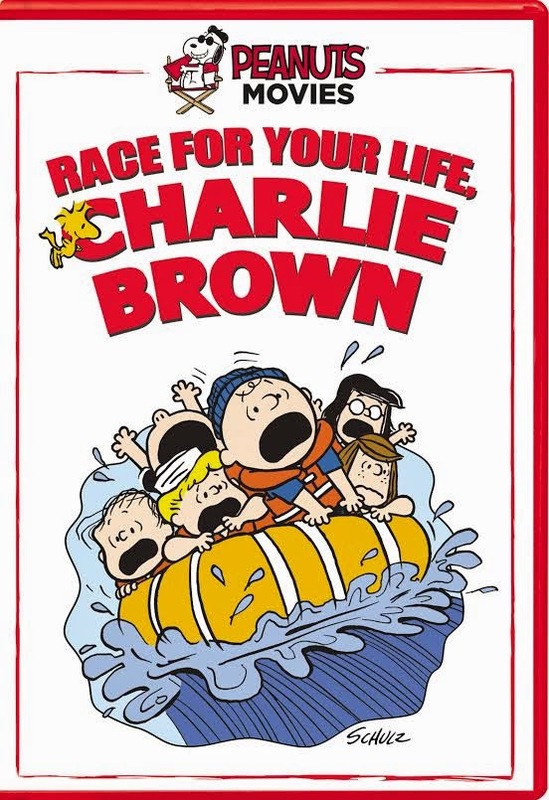 I was really excited to hear that Race For Your Life, Charlie Brown has been remastered on DVD and is now out today, Tuesday, February 10, 2015! "Ah, the joys of camp: The fresh air! The lousy chow! The obnoxious kids from that other tent! But Charlie Brown, Lucy, Linus, Snoopy, Woodstock and all the rest are ready to face whatever camp throws at them. And when the day of the Big Rafting Race comes around, they’ll fearlessly take to the water, pitting the boys against the girls – and Snoopy and Woodstock against all of them – as they face raging rapids, wild weather, and sneaky sabotage from a bevy of bunkhouse bullies. Teamwork, courage and leadership are the keys to success. Will Charlie Brown have what it takes to be a leader?" 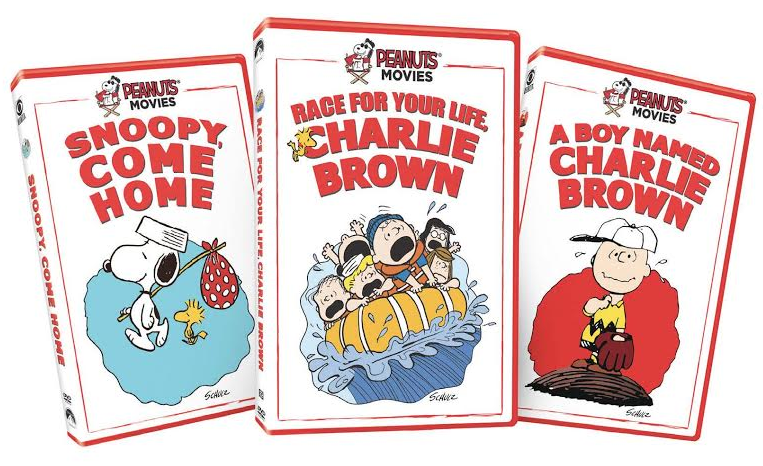 In honor of the newly released remastered DVD we are giving away not only Race For Your Life, Charlie Brown, but included in this prize will also be two other great movies, A Boy Named Charlie Brown and Snoopy Come Home. How great is that? I can't tell you how excited I am for one of you amazing Just Us Girls readers to win this prize so that you can share Charlie Brown and the Peanut Gang with your little ones. So which character from The Peanut Gang was your favorite? Leave a comment below for your chance to win all three Peanut Movies!